They were spurned almost four years ago to the day. It was on ESPN’s special program, “The Decision,” one of the oddest blends ever of marketing, entertainment and sports “journalism,” that LeBron James announced he was leaving Cleveland and taking his talents to Miami and in an instant became one of the most vilified athletes in pro sports, despised not just in Cleveland but especially in Cleveland (and greater Ohio in general). But the dream of a half dozen straight NBA titles was emphatically silenced by the San Antonio Spurs who demolished the Miami Heat in the finals and now LeBron tells Sports Illustrated- he’s going back home. This is a way worst Cleveland team than he left so it’s not a bid for immediate glory. It seems to be entirely because it really is home. 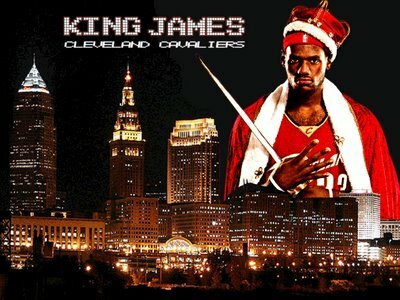 Home for LeBron (he’s a native of Akron). Home for his wife and family. Cleveland, if you haven’t heard, is a hard luck town. No Cleveland team has won a title in any sport in half a century. They come close a lot, which makes it all the more painful. They’ve had great athletes, like LeBron and NFL running back, Jim Brown and former slugger Manny Ramirez. But Cleveland teams have a long and tortured history of leaving their fans just short of euphoria. And didn’t they used to be known as “the mistake by the lake?” Or was that Municipal Stadium? I forget. Well, no longer, people. Cleveland is way more now than just the home of the Rock n’ Roll Hall of Fame. On Tuesday, the Republicans announced they were holding their 2016 Presidential convention in Cleveland. Earlier in the year the Cleveland Browns signed Texas A&M Quarterback and Heisman Trophy winner, Johnny Manziel. He’s currently slotted as the #2 Quarterback though he’s quickly established himself as the #1 hardest drinking and partying NFL QB since Joe Namath. So here’s to you Cleveland! Not sure there are any titles in your immediate future, but you sure as hell will be getting a lot of attention. For now, anyway, you are the center of the news universe. Congrats, or something. 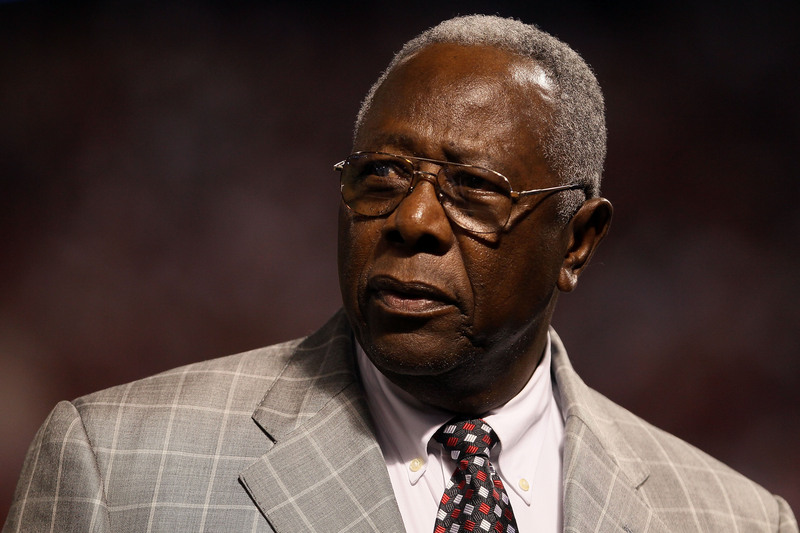 “Hank Aaron is a scumbag piece of (expletive) (racial slur)” a man named Edward says in an e-mail to the Braves front office obtained by USA TODAY Sports. Marion calls Aaron a “racist scumbag.” Ronald won’t attend another Braves game until Aaron is fired. Mark calls Aaron a “classless racist.” David says that he will burn Aaron’s I Had A Hammer autobiography. Oh good, book burning- another sign of enlightened tolerance. As reporter, Nightengale, puts it quite eloquently- the difference between 1974 and 2014 is that back then, Aaron had the gall to pass Babe Ruth as the all-time homerun king, today, he had the audacity to speak his mind. Mr. Aaron has kept a good sampling of the hate mail he received forty years ago- as a reminder of what he and Jackie Robinson and dozens of other black players had to put up with. It was when he was asked why he still has all those hate-filled attacks filed away, that Aaron responded with the sentence above- the sentence that has proven his point so vividly and so sadly. Back when I worked at CNN, Hank Aaron ran a BMW dealership in Atlanta and he wanted the CNN Radio newscasts pumped into the showroom for his customers to get the latest news updates every half hour. Hank loved CNN back then. He was close to Ted Turner and then CNN President, Tom Johnson. We gave Hank’s dealership access to the CNN Radio feed and he very graciously sent back an autographed baseball that I have proudly on display in the living room of my Pentagon City apartment. I used to look at that baseball from time to time and think, wow- signed by the legitimate home run king of all time. Today, I look at it and see a baseball signed by a kind and wise man who counters hatred with the sword of truth. And it makes me even prouder to have an artifact that, to me, now also stands for the righteous but elusive goal of social justice and racial tolerance. Please- keep speaking your mind, Hank. Your words in 2014 are as powerful as all the lumber you ever used to pass the mighty Ruth all those many years ago. 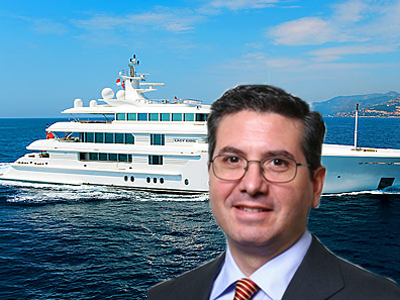 Snyder announces he is banishing himself to his $70 million yacht. In a stunning display of maturity and personal awareness, despicable Washington Redskins owner, Daniel F. Snyder, today fired his head coach then himself. “You pretty much have to fire a coach who finished with a 3-13 season,” said Snyder. “But the real problem has been me all along,” he announced to a shocked gaggle of scribbling reporters. Snyder, however, refused to apologize for suing Redskins season-ticket holders for failure to make payments after losing their jobs during the recession, saying that the team’s dismal performance had otherwise provided him little joy besides crushing and annihilating the powerless. Asked to enumerate the many reasons for his consistent failure as an owner in less than 3 hours or so, Snyder demurred, saying only that his biggest fault was loving the Redskins too, too much. “My love for this team and for the Native American people of America has possibly blinded me. The great passion I have felt for the team and all the oppressed Indian tribes they have always represented may have led me to take impetuous actions from time to time. So blame me for caring too much,” he concluded as he wiped away a single, sad, yet symbolic tear. Clearly, the kid only has one speed and it’s no longer fun to watch. Without an offensive line to protect him, a defense that defends and a play-caller who is sane enough to know you run when you have a lead, Robert Griffin III is taking the entire team on his shoulders and taking a physical beating. It’s not his re-built knee that’s in danger – it’s his brain and his very life. We now know those impressive hits we see in the NFL cause permanent harm. Former Cowboys running back, Tony Dorsett, is but the latest in a long line of players who have suffered permanent brain injury from the thousands of hits they‘ve absorbed through their college and NFL careers. 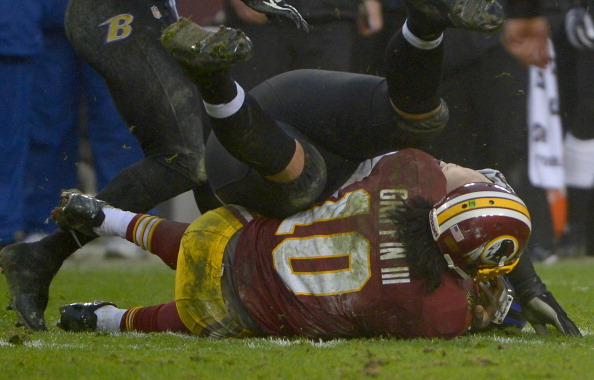 Every time RGIII incurs a brutal blow, as he did at least a dozen times in the most recent Redskins’ debacle against the Minnesota Vikings, his brain is literally crashing against his skull and creating the scar tissue that eventually causes memory loss, suicidal thoughts and severe depression. Someday, when he’s no longer a kid and turns, say 50, will he be able to walk? Will he remember to take his kids to school? Will he shoot himself in the chest like Junior Seau did, in order to preserve his brain for clinical study? I know this sounds sick and extreme. But it is the reality for NFL players. It’s why watching this sport is getting to be increasingly uncomfortable. It’s why I feel very little joy and actually a great deal of sadness when I see this poor kid playing his heart out for a team that cannot protect him and a coaching staff and owner that could care less if they literally break him again and again, only to leave him to recover enough in the off-season to take next year’s beatings. As you look back at it and understand the frighteningly consistent dysfunction of Daniel Snyder’s Washington Redskins for well over a decade, it makes you wish someone had told this intelligent, charming and supremely talented young man to RUN- far, far away from Landover and the clutches of the Snyders and the Shanahans. They’re not only using you, RG- they may very well be killing you. 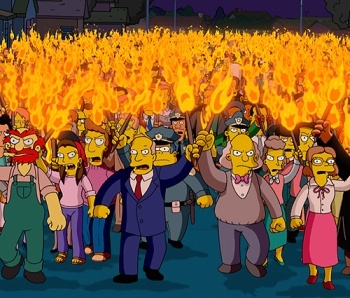 OK, Nationals fans. It was ugly and dispiriting for most of the year. Every bounce went the other way. They led the National league in errors. If they had the bases loaded and nobody out, they’d figure out a way of stranding all of them. It was so bad, I was waiting for a headline like Strasburg tosses no-hitter, Nats lose 1-0. The absolute low point was reached at 10:26 pm, ET on Wednesday, August 7th. The Atlanta Braves entered the 9th inning at Nationals ballpark with a 12-game winning streak, a 6-3 lead and, adding insult to injury, had escaped without repercussions after drilling Bryce Harper repeatedly in the series. A Harper double and a Jason Werth walk gave the 29,000 fans a glimmer of hope. 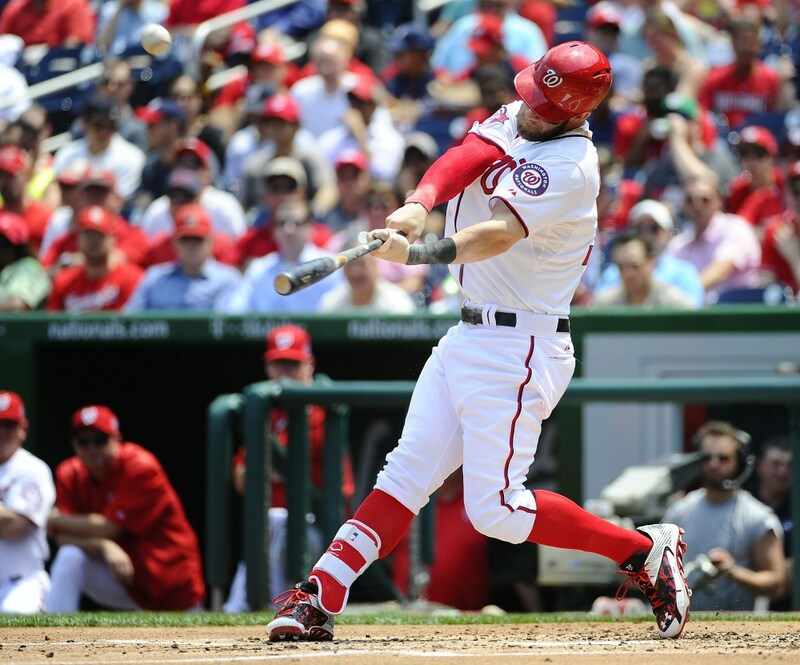 Then Ian Desmond struck out looking and Anthony Rendon fanned swinging. Wilson “Buffalo” Ramos stepped into the batter’s box representing the tying run. He stung the baseball the opposite way toward right field; Harper and Werth in full sprint as the line drive shot out over the infield. It would end up falling into the glove of Jason Heyward. Game over. The once mighty Washington Nationals had fallen six games below .500. The National League Eastern Division was put away for good that night. The tomahawk chops at Nationals Ballpark made for a painful reminder of the utter failure of a season gone dreadfully and inexplicably wrong. Inexplicably, because there wasn’t a single starter in that Washington lineup you’d want to get rid of. Adam LaRoche maybe but there’s that stylish defense of his at 1st. And last year he carried the club offensively for an entire month. Rendon and Lombardozzi at 2nd. How lucky are we? Desmond at SS. Perennial all-star. Zimmerman scary at 3rd defensively and offensively anemic at the time- but the cornerstone of the franchise, regardless. The outfield of Harper, Span and Werth- untouchable. Even struggling at the plate, Span’s defense in center is gold glove quality. Wilson Ramos. Power, smarts and feel for handling our pitchers. And who would you knock off the pitching staff? Dan Haren is the most likely answer because if he hadn’t literally been the worst pitcher in the entire sport for the entire first half of the season, the Nats would have been contending all along. But the rest of them? Really, folks, this is one of the top 5 pitching staffs in the game. And when he’s the “good Haren” he looks like he can throw a no-hitter. 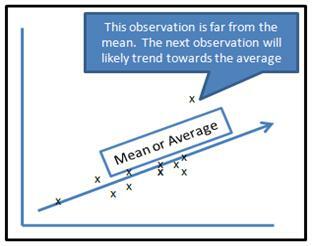 …the phenomenon that if a variable is extreme on its first measurement, it will tend to be closer to the average on its second measurement—and, paradoxically, if it is extreme on its second measurement, it will tend to have been closer to the average on its first. Statistics really do mean something in baseball. If a player has averaged X amount of production in pitching and hitting stats, over a 162-game season and accounting for their aging, the result is invariably within 10-15% of their career average. Ryan Zimmerman is Exhibit A. Jason Werth is Exhibit B.
Zimmerman was showing the worst power numbers of his career. Until September. The man has hit 9 homeruns in his last 11 games. He now leads the club in that department. Nine homeruns is an insane amount for a month, much less a week and a half. That’s a pace to hit 132 homeruns over a season. Zimmerman’s Regression to the Mean has been absolutely breathtaking. Jason Werth’s story spans three years. His first year as a National, Werth hit .232 with 20 homers and only 58 RBI’s. His injury plagued second year saw his average climb to .300 but only 5 homers. In his 3rd year is currently in third in the battle for the National League batting title. He has been the best offensive player in the game for over two months. He’s hitting .323, with 23 homers and 71 RBI’s. 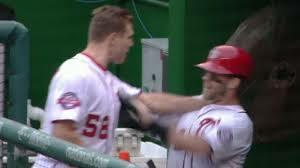 Werth’s Regression to the Mean is complete now. Since the stinging loss to the Atlanta Braves August 7th, the Washington Nationals have the best record in the sport. They were 54-60 after the sweep. They have now gone 24-9. They were 6 games under .500. They are now 9 games above .500 at 78-69. They have won 7 in a row, 9 of their last 10, 13 of their last 17, 18 of their last 23. For a team that won 98 games last year, clearly, Regression to the Mean was due and is in full swing. To Nat’s fans- a note of caution over the next 15 games. So yes, they have gone 24-9 since the Atlanta sweep, but remember that after each of the 9 losses, the conventional wisdom was that the season had just ended. Some of the 9 losses were ugly. So ugly they obscured the winning tempo that was beginning to build. We almost didn’t see it, even as it was happening. Baseball and its 162 game marathon have a funny way of doing that to you. But the trend is unmistakable now. The Nationals have found themselves but only at the very last possible, friggin’ moment. They will not win out. They can afford to lose probably three games at most. Do not panic when one of those three losses happen. The other 12 wins will have us “crashing the party,” in one of the most inspiring turn-arounds since the 2011 World Champion, St.Louis Cardinals. And if they don’t get to the playoffs, rejoice that you got to see this kind of drama and heart and grit and pressure in the middle of September. Most ball clubs don’t get to the cooler temperatures of autumn with much of any hope at all. The Washington Post’s Sally Jenkins has an excellent column today in which she points out that for as much of a clueless dolt as Yankee 3rd baseman, Alex Rodriguez seems to be, his notoriety should not be used as cover to deny the man due process. Commissioner Bud Selig is reportedly “negotiating” with A-Rod right now; a suspension for using performance-enhancing drugs or something much bigger- a lifetime ban from the sport. And this is where Jenkins blows the whistle. A lifetime ban puts A-Rod in league with Pete Rose and Shoeless Joe Jackson and the rest of the 1919 Chicago “Black” Sox. You better have some strong evidence. And you don’t use such a thing as a stick in a negotiation. It’s simple. The Commissioner lays out exactly what A-Rod’s done, proves it and hands out a punishment. His misdeeds are so heinous they merit a lifetime ban or they don’t, in which case, he should be treated like any other ballplayer, no more, no less. According to the New York Daily News, MLB officials have told Biogenesis founder Anthony Bosch they would cover his legal expenses, indemnify him against litigation and put in a good word with any law-enforcement agencies if he cooperated with the investigation. Before Bosch made his deal with baseball, he tried to get money out of Rodriguez. All of that puts the commissioner in bed with a steroids dealer and semi-extortionist. So there’s a lot we don’t know about the case. But this we do know. Bud Selig will always be remembered as the Commissioner who allowed cheating to run rampant in the sport while his fellow owners profited greatly from all those tainted home run balls that were clearing the fences back in the 1990’s- Baseball’s Golden Steroid Era. The reviled and hated A-Rod may be a gift from heaven in regard to Selig’s attempt to escape this legacy, but it’s not right and it’s not fair to railroad anyone in an attempt to spruce up your own past history. PED use has been a blight on the game’s integrity, morality and even its cherished statistics that used to offer a way of comparing the greatness of players from one era to another. It’s a good thing that Selig, Major League Baseball and now even the player’s union are clearly trying to stamp out this abuse. But fans with torches and pitch forks and all of that hatred for an arrogant, cheating athlete not withstanding, you don’t accomplish that with a process that may, in itself, be abusive.